Explore the continents, countries, flags, geographic landscapes and political mapping of earth! 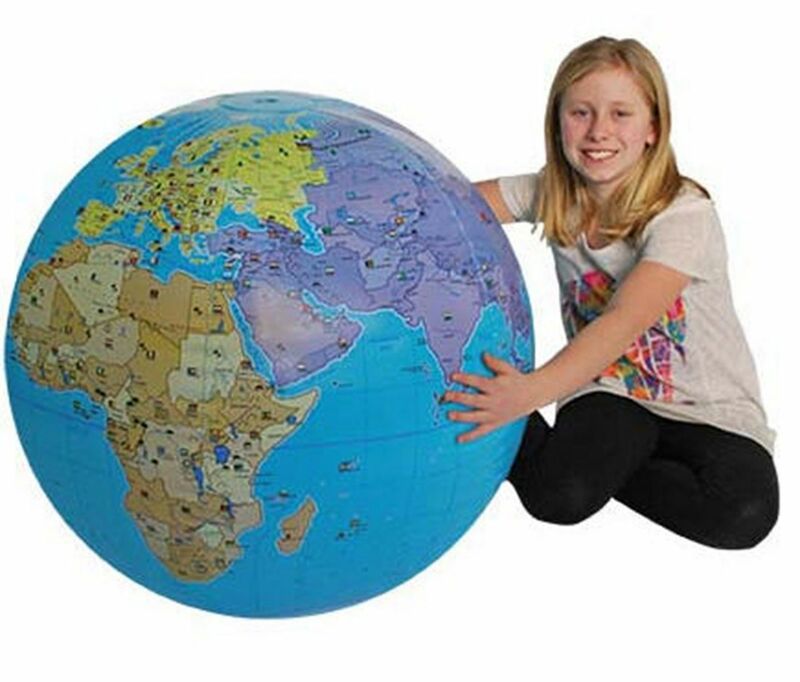 Light enough to toss in the air, this 33" diameter globe can also be hung or displayed on the enclosed inflatable transparent base. Ages 3+.